NEXUS signed an MOU with XYBASE, a global leader in Airport OperationsManagement Systems, to jointly pursue opportunities of mutual interest for both organizations. April 4, 2017 – Jeddah, KSA – NEXUS announced today that it has signed an MOU with XYBASE, an innovative and flexible global provider of comprehensive airport operations management systems. 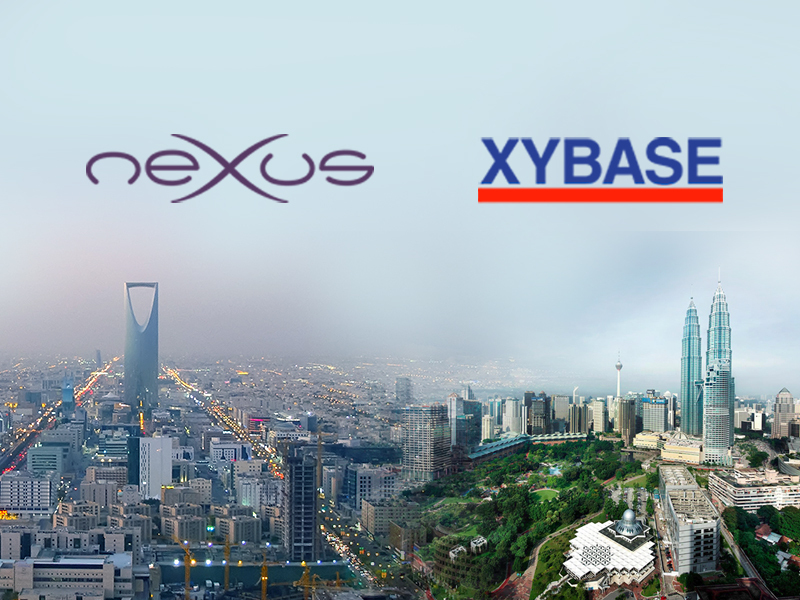 The MOU calls for the companies to work toward a Joint Venture agreement whereby XYBASE will help NEXUS grow its business in the ASEAN countries and China, and, in turn, NEXUS will help XYBASE grow its business in the Middle East, India and Africa. Already the two companies are working together to provide a custom airport management solution to one of NEXUS’ key clients. The companies have agreed to move quickly into Joint Venture discussions and begin realizing the potential of this natural partnership. NEXUS provides flight operations support globally for a large fleet of managed aircraft for private individuals. It was founded in 2010 and has grown rapidly by offering exceptional service and a premium customer experience to aircraft owners and operators worldwide. NEXUS is growing globally with flight operations support centers in Jeddah-KSA, The Philippines, Rwanda, Mumbai, Monaco and in the United States.NEXUS also supports aircraft for large governmentagenciesas well as some of the largest corporations in the World. NEXUS is also focused on global aviation training through its NEXUS Aviation Academy. NEXUS owns Wyvern Consulting in the US, the leading third-party auditor of on-demand air charter firms, and has engaged Wyvern to enhance safety across all of its operations globally.Wyvern also provides instructors, expertise and management for the NEXUS Aviation Academy. XYBASE is a systems integrator, IPR developer, solutions provider and project implementation services with offices in Malaysia, Indonesia and USA. XYBASE has implemented many large and complex IT projects in airports and the e-government space. XYBASEis known worldwide for its airport domain expertise and sound technical knowledge and provides comprehensive, cost-effective and state-of-the-art solutions to clients, based on their businesses needs and processes, without prejudice on the technologies available. XYBASE has successfully completed projects in Malaysia, the USA, Europe, Africa and the Asia Pacific region. XYBASE believes in operational management which aligns technologies to processes, which is what the XYBASE NextGen application suite is all about. The application is designed to help the airports to manage their Key Performance Indicators and Service Level Agreement to a different level of efficiency and cost effectiveness. XYBASE also provides Tech Ops as part on itsservices offerings.